FormaServe takes the privacy of its customers very seriously. The GDPR (General Data Protection Regulation) will replace the current DPA (Data Protection Act) from 25th May 2018. The main aim of the regulation is to give citizens greater control over what can be done with their personal data by businesses. We are committed to the protection of the data of our vendors and consumers. We do not operate an email mailing list program for non-clients. We respect your email privacy. We will only send you mailings from us if you have agreed to this or in our dealings with you as a customer of FormaServe. We do not pass on your details, including your email address, to any company, or individuals, without your prior consent. We invest in good quality security and do our utmost to protect your privacy as a visitor to our website. We may change this Privacy Notice from time to time. However we will not reduce your rights under this Privacy Notice. 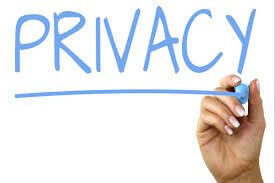 We will always update this Privacy Notice on our website, so please try to read it when you visit the website (the 'last updated' reference tells you when we last updated this Privacy Notice).